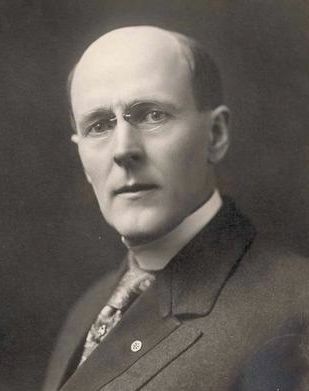 Paul Harris, a Chicago attorney, organized the world’s first service club – the Rotary Club of Chicago – in February 1905. The name “Rotary” was selected as a result of the practice of rotating meetings among members’ offices. By 1921, Clubs were operating on six continents. Rotary adopted the name Rotary International in 1922. 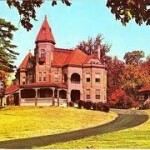 A gathering of local business and community leaders at the City of Salem’s Longwood mansion in November 1949 gave impetus to the creation of the Rotary Club of Salem. Subsequent to this initial organizational meeting, 29 individuals signed up as charter members. Seven members were elected to form the first Board of Directors. 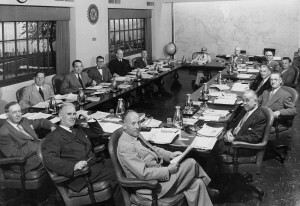 The Board met on November 17, 1949, and a charter application was executed at that time. The District Governor of District 275, in which the Club would become a part, forwarded the application to Rotary International and recommended that it be approved. 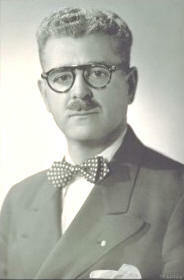 The District Governor presented the approved charter to Club President Virgil L. Frantz at the first meeting of the Club on December 21, 1949. The last surviving charter member E. Cabell Brand attended a Club meeting the week before his passing at age 91 in January of 2015. 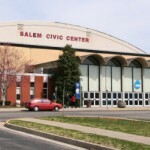 The Rotary Club of Salem met at the newly constructed Salem-Roanoke County Civic Center (now the Salem Civic Center) for a Ladies Night on September 27, 1967. It was the initial Club event to be held there. 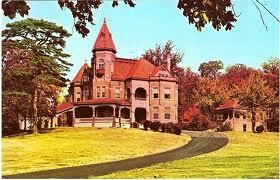 The Club continues to meet at the Salem Civic Center for our regular weekly meetings every Thursday. The first successful fundraiser for the Club, the Old Dominion Athletic Conference Basketball Tournament, was held on February 26, 1981. It has continued as an annual event since that time. Other fundraising events have since been adopted, including the highly successful Olde Salem Days, taken over by the Club from the Salem Jaycees who first created the event. All proceeds from these events support our Club’s fundraising efforts as well as local and international charitable organizations and programs. The Club’s membership has steadily increased over the years and now stands at over 130 members strong. 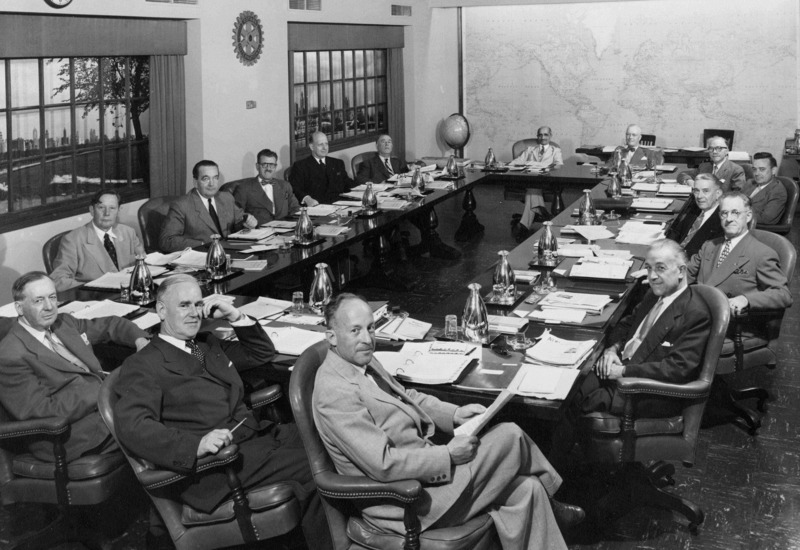 A Retrospective Look at Rotary International 1949-50 the Year Our Club was Founded. 4. An outstanding district conference in every district.